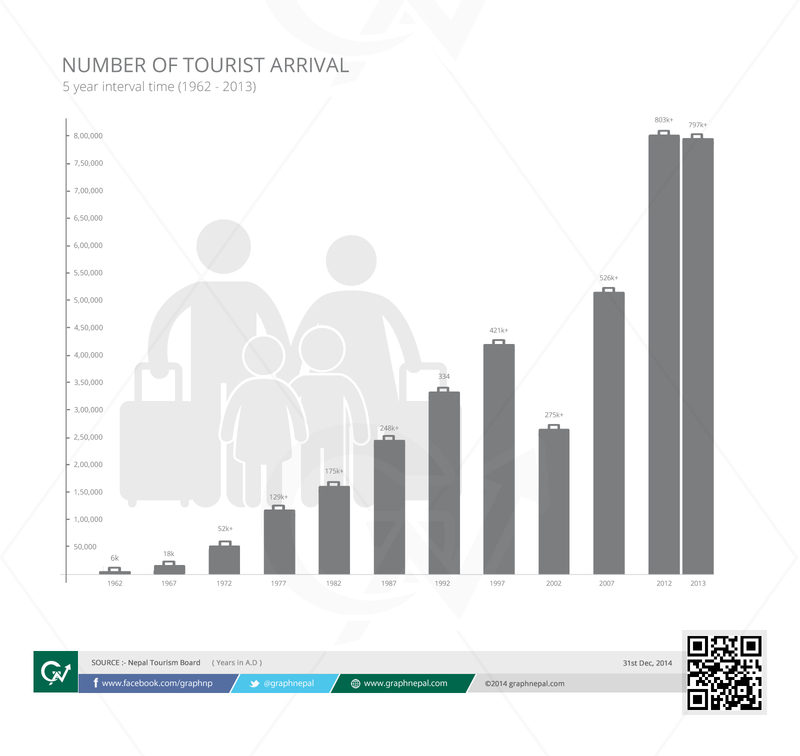 Nepal has seen organic growth of international tourist since 1962. 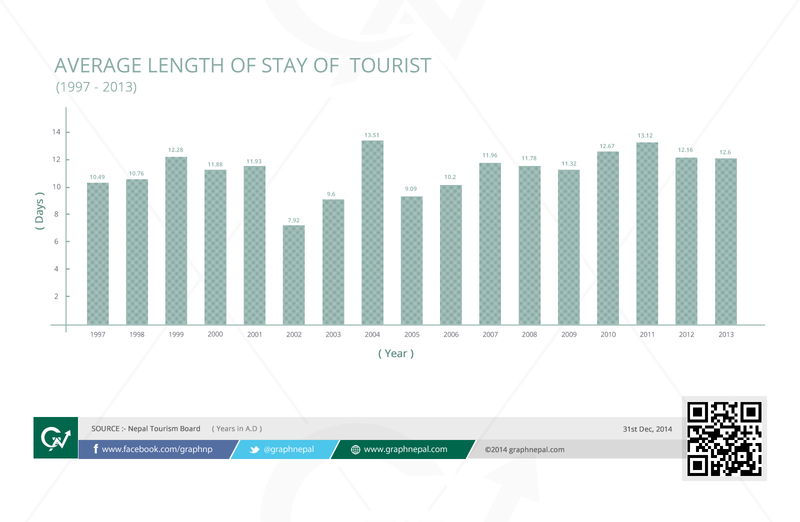 Except for duration 2000~2002, country has seen stable growth of tourists. 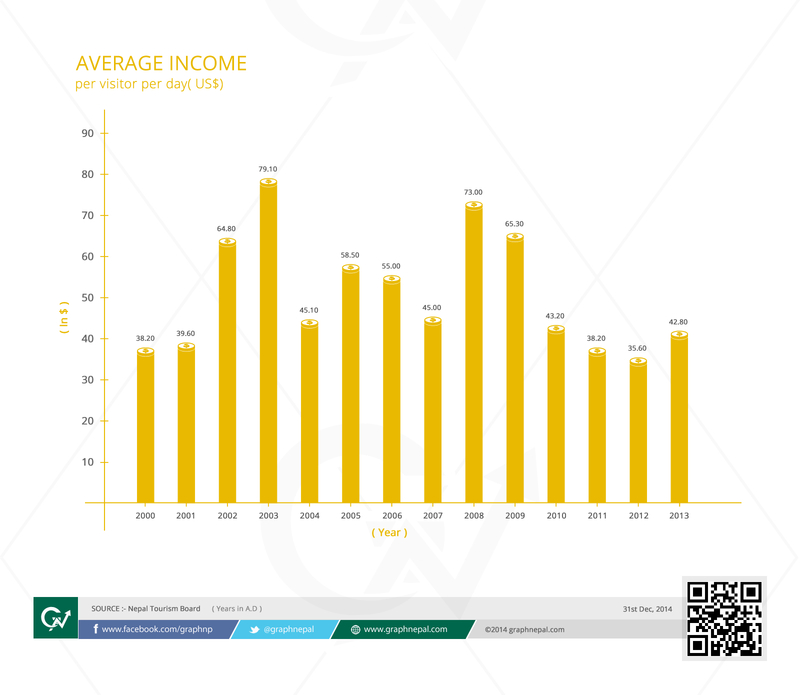 In the year 2013 international tourist spent 42.80USD/day, but per day expense has not increased much since 2000 (tourist were spending 38.20USD/day in 2000). 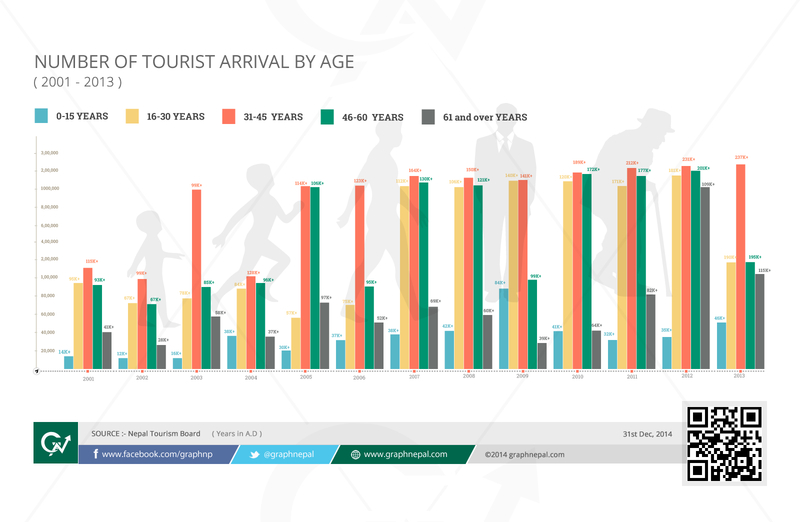 Although Nepal celebrated ‘Visit Nepal 98’ and ‘Nepal Tourism Year 2011’, these events did not played significant role to neither increase nor extend the length of stay of tourists. 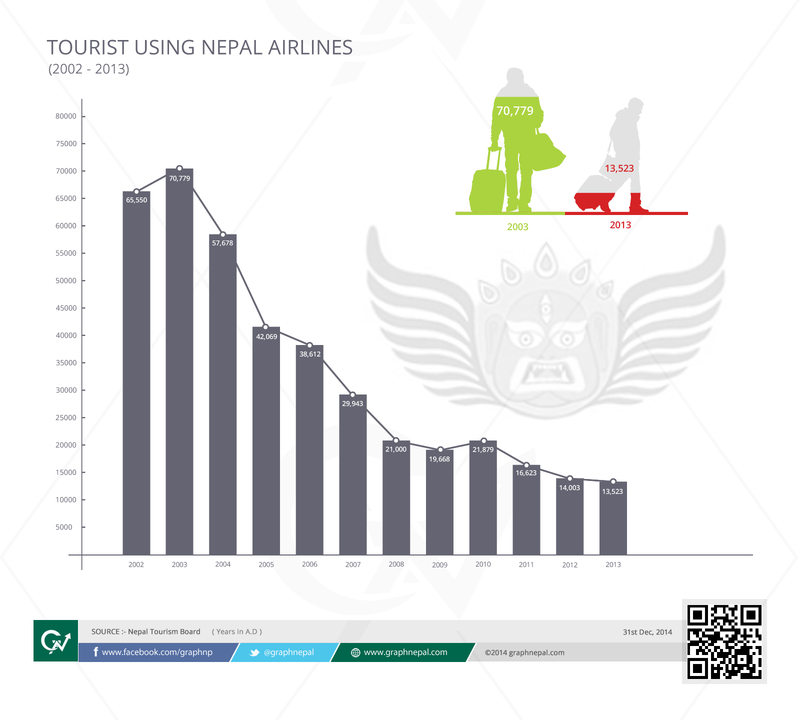 Due to multiple reasons, the visitors using Nepal Airlines has decreased by 57, 256 in the span of 10 year (2003 to 2013). 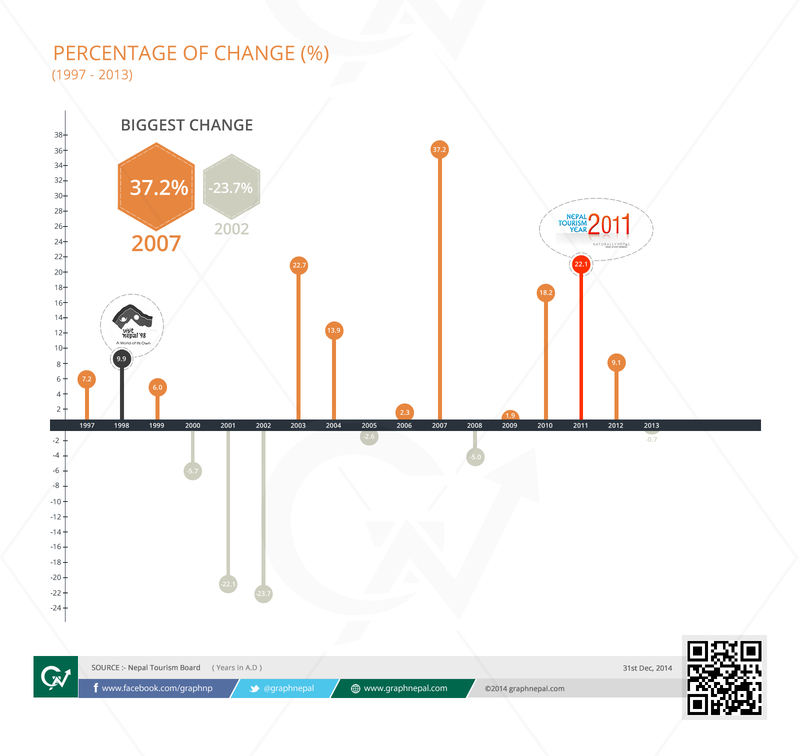 The percentage change in tourist is directly dependent on the peace process of the Nepal as we can see the biggest positive change (+ 37.2%) is at the time of peace whereas the biggest negative changes (- 23.7%) during the conflict period.